I recently attended a conference on 5G and there was an interesting concern raised about the impact of re-farming older technologies like GSM on consumers who may be unwilling to switch onto newer generations. Yet in developing countries like Nigeria, majority of the consumers still rely on the 2G network, especially in the rural areas. If the global re-farming continues, what would then be the fate of these consumers who still depend on legacy phones with the capability of making and receiving voice calls only? As mentioned in my previous piece, affordability of smartphones remains a huge barrier limiting the adoption of 3G and 4G services in these countries. In sub-Saharan Africa, basic phones account for about 74% of the total handsets while smart phones represent 22% of mobile devices, according to a GSMA study in 2015. Would bodies like ITU advocate for the global re-farming of 2G within a time frame as they did for the 700MHz band? The real motivation behind re-farming older technologies like GSM is to free up spectrum for the newer technologies like 4G and 5G. Prior to the deployment of 4G, voice calls were made using the traditional GSM network but that seems to be changing with the emergence of VoLTE. In this piece, I give a summary of the quiet revolution happening within various parts of the globe regarding the re-farming of older technologies. In countries in East Asia like Japan, Singapore, South Korea, there is no 2G available presently and where available, it is of limited service. This move is intended to free up spectrum and provide capacity for the majority of the consumers who depend on 3G and 4G services. In these countries, it makes business sense to axe the 2G network. In North America, it has been anticipated that as of 2020, all 2G networks will be phased out. In-fact, as of 1st Jan 2017, AT&T reportedly shut down its legacy 2G network while Verizon and Tmobile plan to shut their 2G network by 2019 and 2020 respectively. It’s no different in Australia where three operators (Vodafone, Telstra and Optus) have reportedly made plans to shut their 2G networks. Also, in order to position Australia as a leader within the 5G industry, the Australia Communications and Media Authority (ACMA) has responded by anticipating the reframing of the 900MHz for 4G services. Whereas in Europe, it is a bit of a mixed bag there, with some operators making plans to shut down 3G network whilst some prefer to axe the 2G network instead. For instance, Telenor Norway plan to shut down its 3G network by 2020 because of the dependence of machine to machine devices on the 2G network. Whereas, in the UK, EE, for instance, has announced plans to axe the 3G and some part of the 2G network to upgrade the 4G network. However, EE is not re-farming all of its 2G network in order to cater to the needs of consumers still reliant on such services. In contrast, Sunrise, a Swiss operator has noted plans to shut down its 2G network by the end of this year. 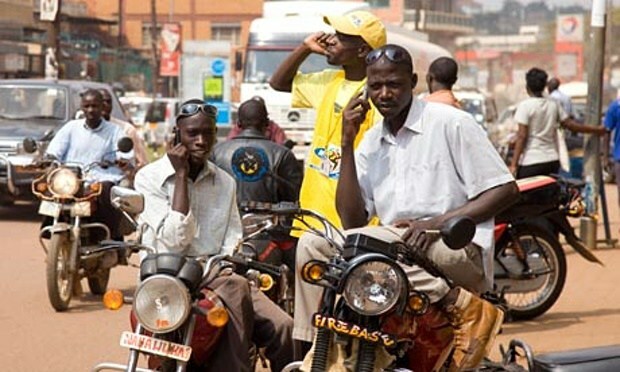 In Africa, 2G accounts for approximately half of all the mobile connections. For instance, in Nigeria, GSM still represents 99.7% of the market share in comparison with other cellular technologies. This means that a large number of subscribers are still heavily dependent on the legacy network. We see that different markets require different strategies in dealing with the demand for spectrum for the newer technologies. Whereas, in places like East Asia, North America and Australia, it makes perfect sense and seems straightforward to switch off their 2G networks. In places like Africa, from the limited information available to me, I have not heard of any attempt to switch off 2G networks. As mentioned previously, a large number of the customer base in the continent still rely on the legacy network and own basic phones. As mobile operators continue to deploy their 4G network within Africa, re-farming GSM may soon become the cost saving option left for telcos seeking spectrum for advanced technologies. When this becomes the case, I hope that a long term strategy would be adopted to encourage subscribers to transit from 2G onto advanced generations. The possibility of attractive upgrade offers marketed using the right advertising channels may help persuade some subscribers to make the much needed transition. Education would also prove vital here, in persuading senior subscribers due to their conservative nature in adopting technology as well as in addressing digital illiteracy regarding the use of smartphones. Affordability also needs to be addressed in this instance to address the ownership of smart phones. According to Mckinsey and GSMA, the rural population in developing countries account for 58% of the un-connected global population. And Africa seems to record the widest digital divide in the world. The wave of global re-farming is happening and may soon hit the continent of Africa. I hope that authorities take note and prepare for this silent revolution so that the already wide digital divide would not become even more widened. Olayinka Oduwole is a Research Fellow at 5G Innovation Centre, University of Surrey, United Kingdom.